For first-time home buyers, one common trap you fall into is rushing into a deal without negotiating for fear of missing the boat e.g. that someone else would snap it up before them. This is a tactic that some property agents play to close a deal quickly. For new launches, the price is usually fixed by the developer and there is limited room for negotiation unless you are buying a few units or the developer is under pressure to sell its remaining units. Often, you are buying a private property the first time. You are either upgrading from HDB to Private Condominiums or buying a private condominium directly. Either way, you do not buy a property regularly, so buying a property is generally not your forte. Moreover these days people do not haggle over price anymore, this skill set is slowing being lost. This starts with daily life as well, how many times do you have to negotiate in a day? You go to supermarket, you just buy from the price printed at the price tag, you go to take MRT, you just tap and pay. You go to a retail store to buy a toy, you just look out for discounts and offer and pay the offer price, but you will not even think of asking for a discount for a product off a departmental store shelf. You may be an expert at negotiating deals or with colleagues to see your point of view and getting things done, but truth is, constant conditioning and loss of use of negotiating skills means that you are more likely to be at a disadvantage. Imagine if you have not trained for running in 2 years and now you have to run a 400 meter race with a seller property agent who runs 2 to 3 laps of 400 meters each day. Who will win? Hence sometimes it is better to work with an expert buyer property agent. We have some on our panel with whom we work closely with, in case you want to use them. What is better still, it’s free as they get their fees from the property owner via a co-broking deal. If you still want to do it yourself. You just need to note that for the resale market, negotiation between buyer and seller is common and key to getting a good price and stating what you are looking for. Both parties want a good deal. At times, this means some compromise to arrive at a price that satisfies both parties. As such, know what is important to you. Rank them so you know which is your top priority and what you are willing to concede. If you offer a price that is unrealistically low, that means nothing comes out of it. If the seller is asking too much (or the seller agent is asking for too much) even before negotiation starts, then often this is a sign that the seller is not serious. You can detect these signs immediately when you check the valuation from the bank’s valuer. An asking price that is 10% more expensive than what bank’s valuer can match is a sure sign to walk away. You can contact a mortgage broker who can help you check the bank’s valuation for any given property. Listen for clues to what is important to the other party. Ask questions for better understanding as to the reasons they are selling. Do not simply just talk to the seller agent, if you can speak to the seller, please have a chat to probe a bit more. Know your limit. Before entering into a negotiation, always do your research and know what you can afford (i.e. maximum price limit), the price of similar properties in nearby locations, historical transactions, the current property market and if possible information on the seller. You can check your home loan affordability here. This enables you to make a fair offer, with a margin for negotiation. Do not waste opportunities and drag negotiations unnecessarily. Having more information also gives you confidence when negotiating and having a better gauge of the boundaries. While it is commonly advised to make an offer below your limit price, do not start off ridiculously low as it could put off the seller. Even if you go to the markets in third world countries, they may also ignore you or even scold you when you try this nowadays. Try to avoid playing mind games and testing the patience of the other party. By being fair and genuine, you can build trust and the other party may be more willing to give in in some areas. Sometimes some properties are already priced below the valuation because the seller wants to let go quickly. If you like it, make a decent offer, do not low ball further from the offered price, take it and close the deal quickly, because someone might just take it from you. If you are selling your second hand used phone (but it has only been used for a week carefully and without scratches and you decide that you do not like the interface), you wrap it nicely, put it back into the box and the phone is still new. You bought it for $1,000 and you are asking for a reasonable $900 for it. A buyer comes along and low ball you with an offer at $600. Will you sell? As if that is not enough, the buyer started to criticize the phone, the colour, the way you use it. How will you feel? Often you will just ask this buyer to go away. The better way is to be genuine. Imagine you are this buyer that comes in and genuinely appreciate the property, you have done your home work you know what you want to pay for it. So you make an offer for the property. Instead of expounding the negatives, you tell the seller how genuinely you like the place and the reason you like it. And if there are renovation that is being done that you like, you can expand on it and tell them how much you like it. I am not asking you to fake it, you have to be genuine about it. If you have no opinion, just keep quiet, do not fake it. 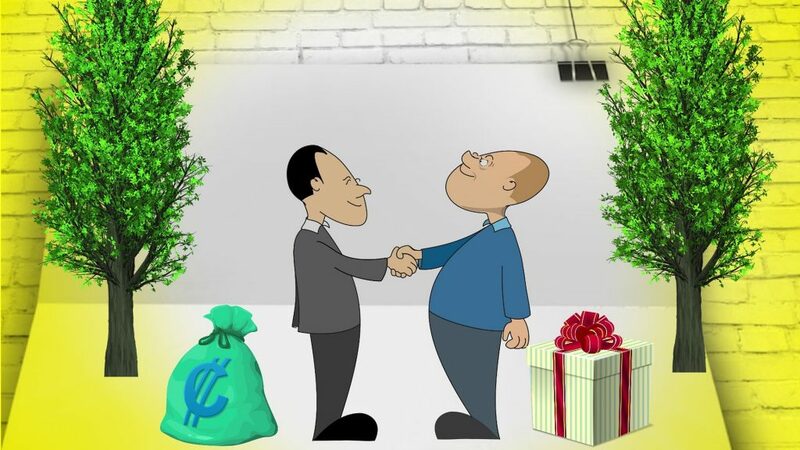 When the seller hears that you appreciate it, the feeling is good, the mood for negotiation becomes better. However the seller is still holding on to the price, you can then explain to the seller your offer and the reasons why you can only pay at the offer price and seek their understanding. Often the seller may even be more willing to negotiate to give you a better price if you are a nice person rather than a nasty one. If you make his/her day, he/she will make yours! A negotiation process can take place within minutes and yet can also drag out for a long time to weeks with multiple back-and-forth. Be prepared and don’t commit yourself personally to any deal such that it is hard for you to walk away if the offer does not meet your limit price. Be optimistic that there are plenty of opportunities in the market, do not worry that you will not find a unit. Getting a bank loan approval-in-principle will give you the confidence to proceed to negotiate. Just as you are trying to figure out what the other party wants and his limit, he is doing the same because it gives you more control over the negotiation process and tilt it to your favour. Thus, it is important not to give away your game and do watch your body language. If you are new to this, it is normal to feel tense but be confident and show that you take the negotiation seriously. And of course, being genuine does not mean you go and spill every secret. While you do not have to give away information like your limit price such as your absolute affordability limit, etc., you need to communicate clearly what you are looking for and state what you want. Be assertive. A mortgage broker can help you in the property buying process.